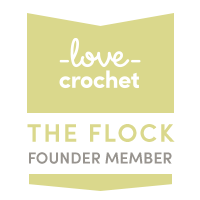 I know that many creative people really want to use their love and skills to benefit others, but it can be difficult to know which charities are looking for knitted/crocheted items, what they would like to receive, and how to get it to them. I am listing here some of the sites I have found most helpful if you want to put your creative talents to good use. There are of course many other sites asking for handmade items, frankly a quite overwhelming number – I have found it easier to focus on a few sites I could follow and engage with, otherwise the sheer number of different campaigns and different patterns became paralysing. There is no logic to my choices below other than my own preferences. Apologies that unusually for me, this page is rather biased towards the UK. The best site I have found it terms of clear and up-to-date information about exactly what UK hospitals require in the way of blankets for their neonatal units and how to get the blankets to them. Sands always have need of knitted and crocheted blankets for their memory boxes. They have a specific pattern they recommend, and the blankets would be in a white DK yarn. Knit for Peace takes donations of handmade items for babies, children and adults, but also wants your spare yarn and needles for their work. They are running a campaign to Keep Britain Warm. Check their site for their latest requirements, and details of their knitting holidays. This site is a little different – it is not a site of patterns for items suitable for donation, but a wide-ranging collection of knitting and crochet patterns available to download, and you make a donation to MSF based on the hours of pleasure you will get from the pattern! Each hospital, hospice or other organisation will have their own requirements and guidance about the yarns, fabrics and notions that should be used in the items they receive – please check before you invest time and money in making anything. We may love working with natural wools, pure silk yarns, and so on, but with items made for hospital patients, practicality must be the first consideration. The golden rule is that finished articles must be machine washable at 40°C at least. This ensures the hospital/recipient will easily be able to care for your gift. It’s usually safest to stick to a soft (unmercerised) cotton or cotton-blend yarn. Synthetic fibres can be too warm for some purposes. Animal fibres (wool, alpaca, angora, etc) are not usually appropriate – these can be too warm, too fluffy, or aggravate allergies. Stick to white or pale neutral and pastel colours. Plastic shirt buttons are usually ideal where buttons are required – you can recycle these from old shirts, or if you only need one or two you could use the spare ones usually sewn inside shirts. Do not use metal notions of any sort (poppers, hooks-and-eyes, etc) – these can get hot in incubators. Avoid open-work stitches, lacy frills, ribbon loops, etc – these can lead to tiny fingers getting caught. Most fibres are acceptable, but yarns with a proportion of natural fibre (cotton, linen, silk, wool, alpaca, etc) usually make for a more comfortable, ‘breathable’ fabric, as well as being nicer to work with. Some fluffiness can be nice – eg angora in bedsocks – but try to avoid anything likely to ‘shed’ too much. Please make sure your chosen yarn is comfortable against bare skin. Elderly gentlemen may appreciate sober colour choices. I know it’s boring, but please do check your tension with the yarn you have chosen before beginning any project, and make sure your finished article conforms to the size that has been specified. If a hospital needs 12″x12″ blankets for their neonatal unit, a 13″x13″ blanket is not going to help. Wash your items before donating them – and for baby items, this must be with non-biological detergent. It can be nice to add a handwritten note or gift tag to your item, with your first name only. Please don’t use knitting/crocheting for charity as an excuse to use up the nasty balls of yarn languishing at the bottom of your stash! If the yarn is not good enough for one of your own projects, don’t use it for one of these.